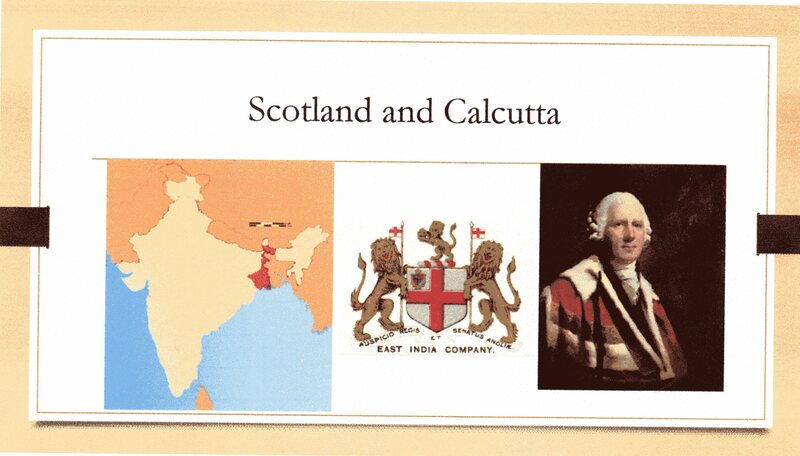 One of the results of the Act of Union (1707) was the ability of Scots to engage in the opportunities provided by organisations like the East India Company. Henry Dundas (1742-1811) “the uncrowned King of Scotland”, helped to bring the activities of the Company under the direct control of the British government. By 1792 as many as 1 out of 9 civil servants in the Company were Scots, along with a third of all officers in the army in India and 1 in 11 of its soldiers. 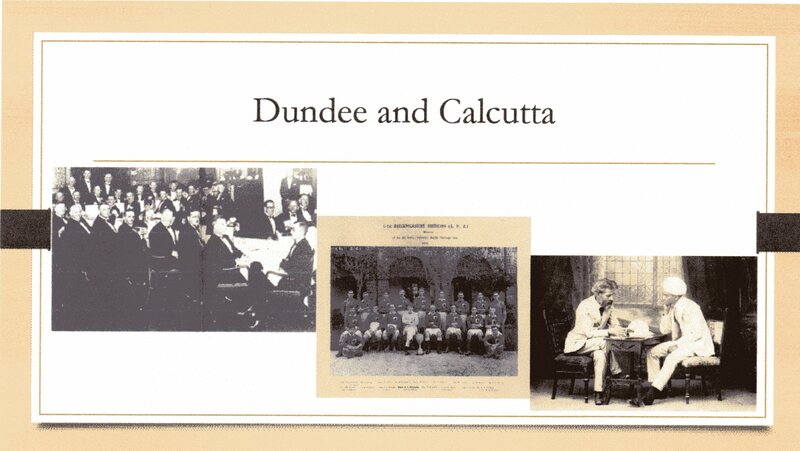 Scots, including soldiers, missionaries, jute traders and businessmen went on to play a prominent part in the economic development and administration of West Bengal. Scots were heavily involved in trade. Coal, timber, sugar, indigo, and cotton all had large markets created by the Industrial Revolution in back in Britain, and by the 1880s West Bengal was also the world leader in the production of quality tea. 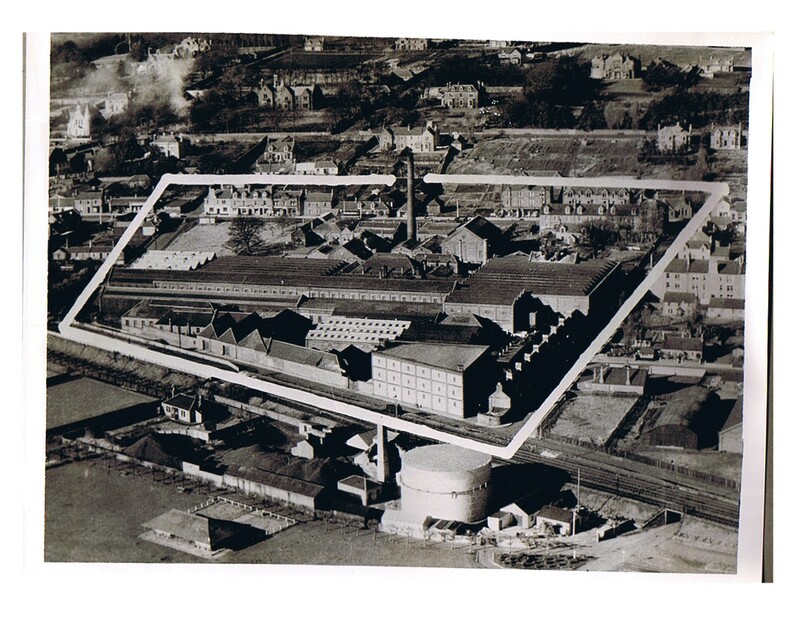 Of local interest, from the 1830s it became possible to mechanically spin jute fibres and much of the raw material jute made its way to the mills of Dundee. 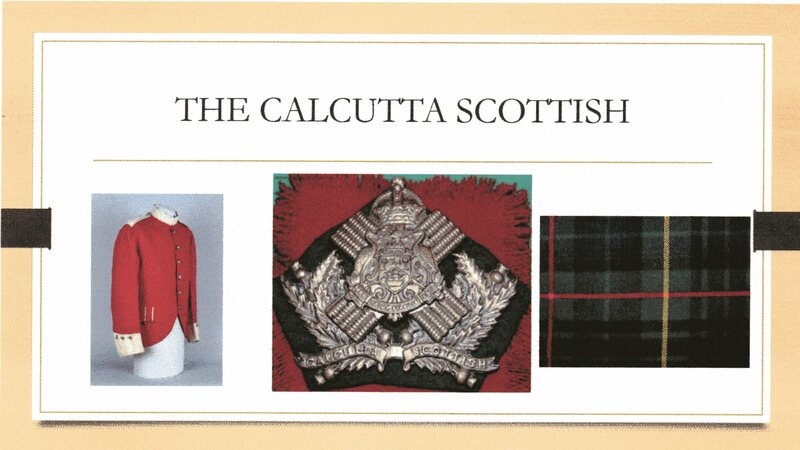 Such were the numbers of Scottish-linked families in India that they formed a regiment in the British Indian Army: the Calcutta Scottish. Their badge featured the Saltire as well as the arms of the city, and they wore Hunting Stewart tartan. 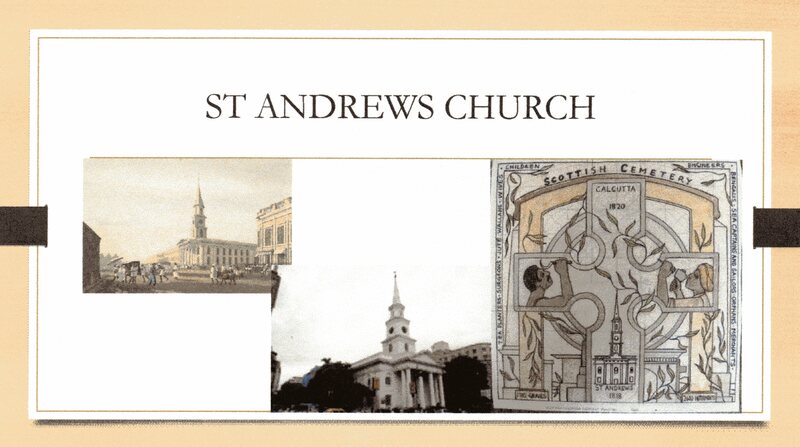 St Andrews Church in Dalhousie Square, built in 1816, is now part of the Church of North India; and the nearby Scottish Cemetery at Calcutta was established in 1820. 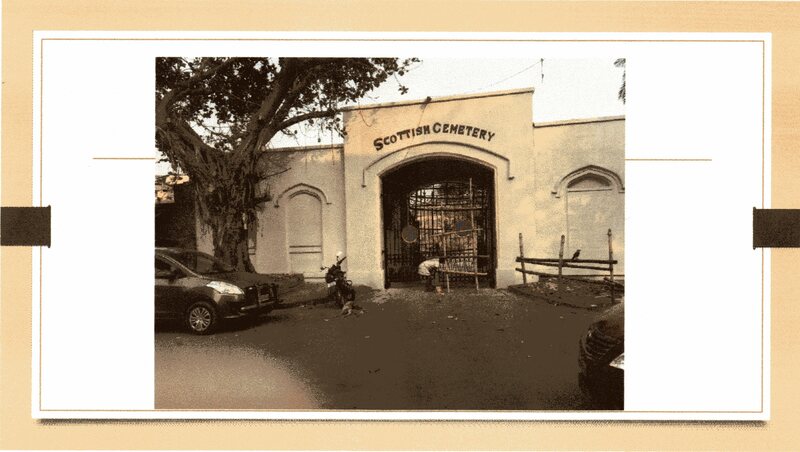 Extending to 6 acres (24,000 m2) the cemetery now lies within a dense urban area in the centre of Kolkata. It is enclosed by a high wall; and the entrance, which bears the title “Scottish Cemetery” over an archway, is flanked by a restored gatehouse. The cemetery is roughly square in plan and laid out largely in a grid pattern. 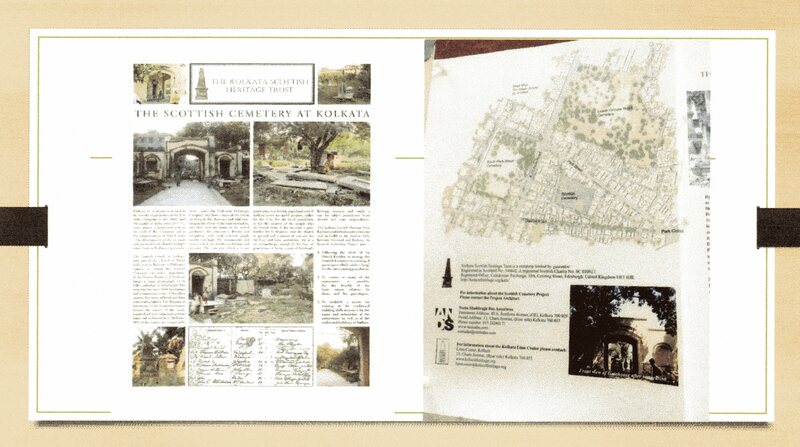 It contains over 1600 burial plots, with well over 2000 burials. 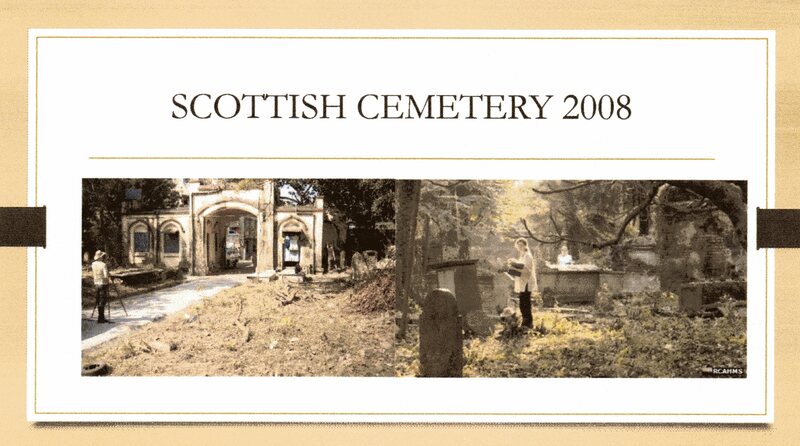 All burials were recorded in meticulous detail and are preserved in the original ledgers kept at St Andrews Church and the Cemetery gatehouse. Well over 90% of the names are recognisably ex patriot Scots; most of the others are prominent Christian Bengalis. 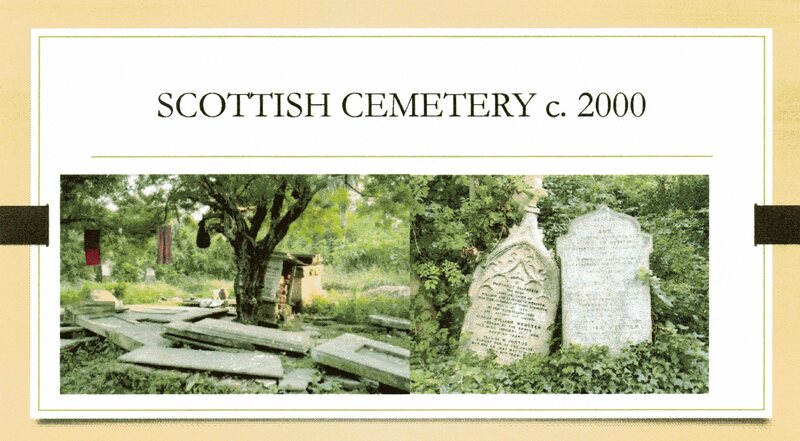 The memorials are generally of imported Scottish sandstone or granite. Towns of origin mentioned on the various stones include Paisley, Sutherland, Fife, Campbeltown, and many from the Dundee area including Arbirlot, Broughty Ferry, and Monifieth. Although the cemetery was in use until the 1940s, it was abandoned in the 1950s and almost all the original lead (used in lettering) and cast iron has been removed. By the turn of the twentieth century the cemetery was derelict and overgrown; the monuments and stones were broken and decayed. 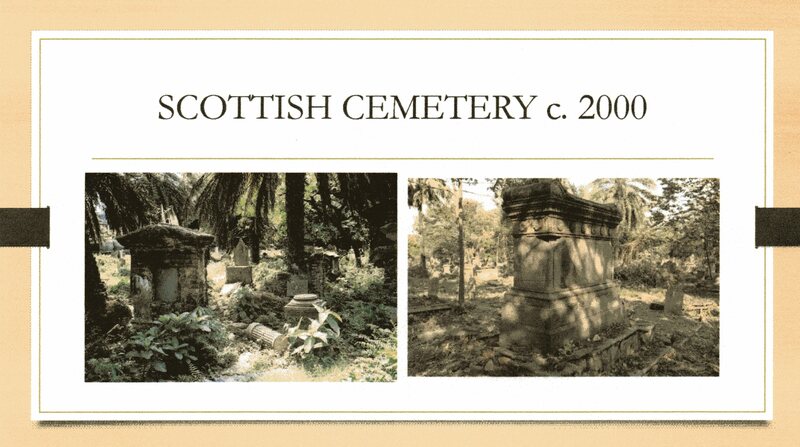 The cemetery, was a great burden for St Andrew’s church to maintain; and it served no useful purpose for the relatives of the people buried there or, more importantly, for the local population. 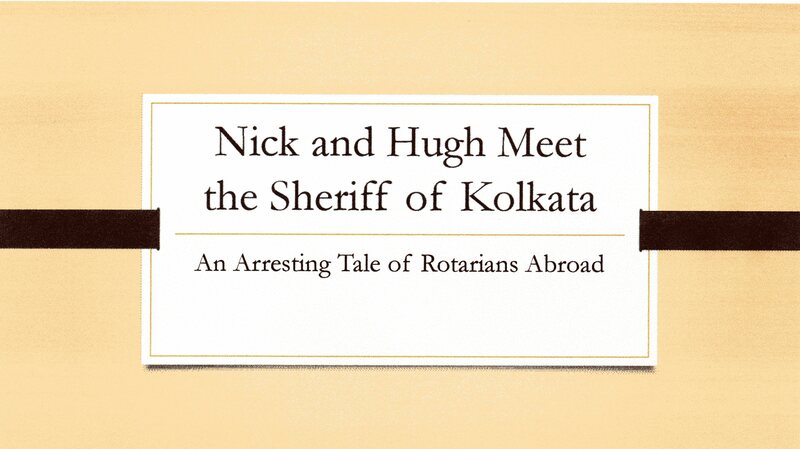 However, it is a rare, largely undeveloped area space in a densely populated part of Kolkata; and it has considerable potential not only as a regeneration project but also a revenue generating tourist attraction. 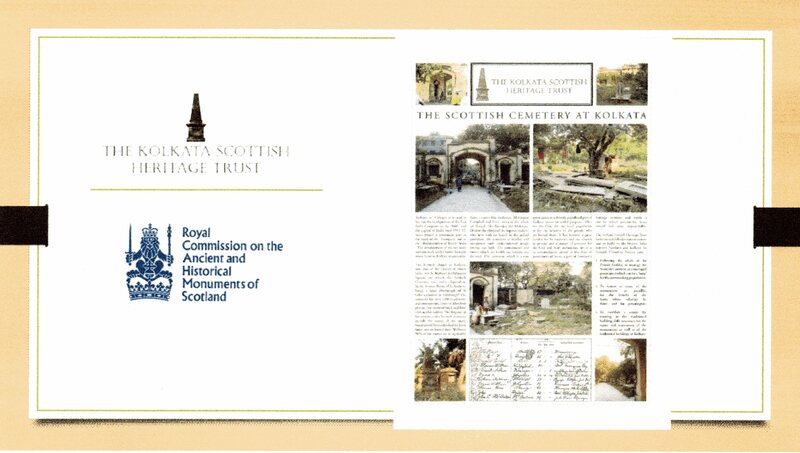 To maintain the Scottish Cemetery as a managed green space which can be a ‘lung’ for the surrounding population as inspired by the ideals of Sir Patrick Geddes. To research and record of the cemetery and thereby improve the understanding of the site, its history and its genealogical importance. To make this information readily available. To restore the cemetery buildings and as many of the monuments as possible. To establish a centre for training traditional building skills necessary for the repair and restoration of the monuments as well as of the traditional buildings of Kolkata. 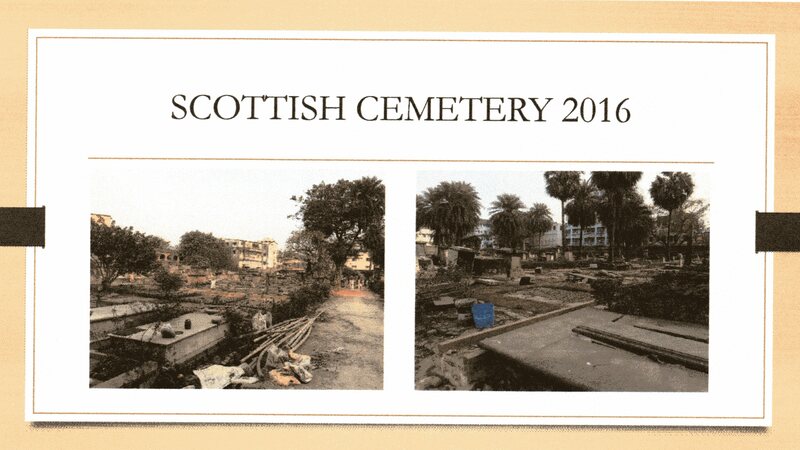 In 2008 the cemetery was cleared of invasive vegetation which had been the principal cause of decay to memorials and headstones. Thereafter, it was possible to conduct a detailed archaeological survey, to assess the condition of surviving monuments and consider the most effective means of repair. Much of the survey work was conducted by RCAHMS (the Royal Commission on the Ancient and Historic and Monuments of Scotland). The initial work of clearing the overgrown vegetation was done by Simpson and Brown Architects of Edinburgh with Addyman Archaeology. The boundary wall has been repaired and made secure, lighting has been installed, gardeners have been employed to keep the vegetation under control, the Gatehouse (with toilets) has been conserved for the use as an interpretation centre for the visitors and tourists, and workers quarters has been constructed. Levelling for proper drainage is in progress; and research continues for developing compatible traditional mortar. Planting of flowers, trees, and shrubs has been undertaken to encourage butterflies and nesting birds and so enhance the area as a sustainable natural eco-system within the built up area. 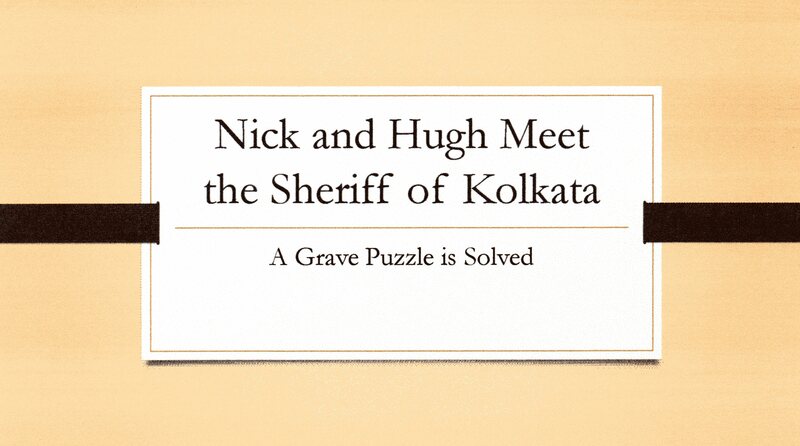 The second phase of the work was started by Neeta Shubhrajit Das Associates in 2012. Dr Das attended a residential training course at the Scottish Lime Centre Trust in Fife, Scotland in 2013 to study the manufacture and application of traditional lime-based building materials including mortars and renders. She will train local craftsmen to ensure that the historic buildings and memorials are appropriately conserved. 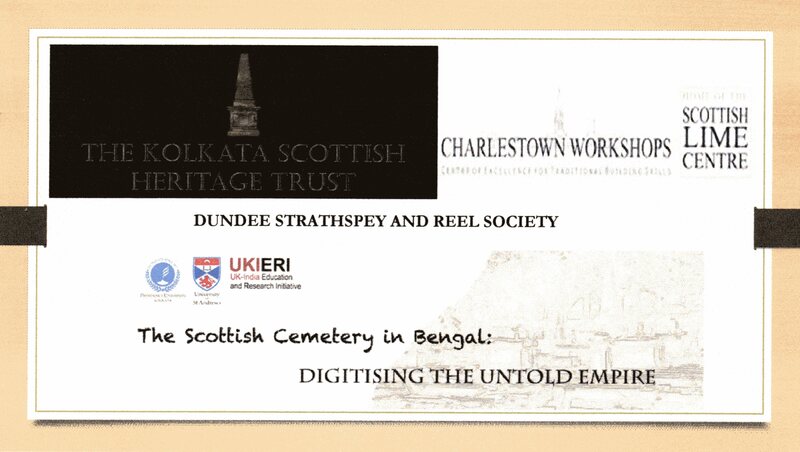 In addition to all that, The Kolkata Scottish Heritage Trust is working in partnership with the Presidency University, Kolkata and the University of St Andrews to digitise the cemetery’s burial archives. Samuel Miller Low had married Grace Margaret Lyell the eldest daughter of Dr Lyell, a physician in Dundee, and they had three sons and four daughters. Charles William Low (1867- 1897 in India). Charles brother, George Carmichael Low (14 October 1872 – 31 July 1952), was a celebrated Scottish parasitologist who in the course of a distinguished career was President of the Royal Society of Tropical Medicine and Hygiene. He worked with Sir Ronald Ross who in 1902 had received the Nobel Prize for his work, in Calcutta by co-incidence, on the transmission of malaria. 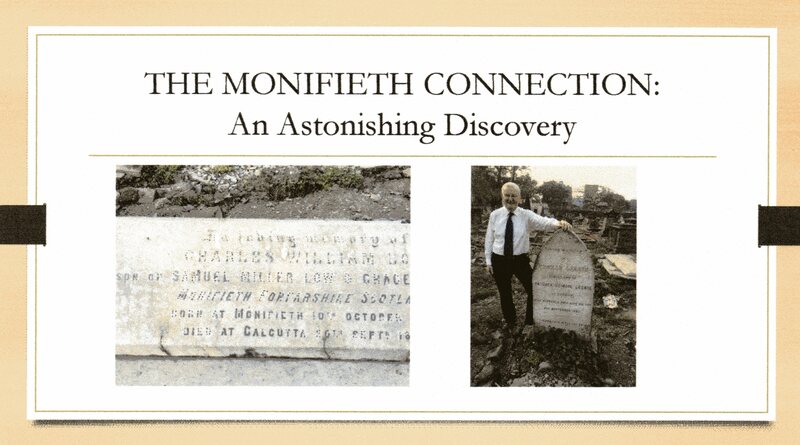 You Tube: Scottish Cemetery in Kolkata is worth a look. 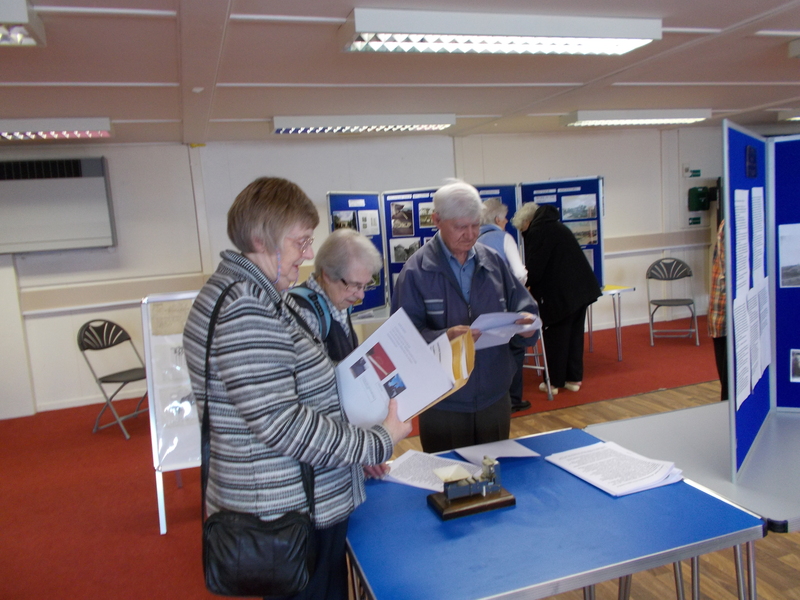 A display of photographs, memorabilia and research information relative to the part played locally and internationally by firms such as J F Low and Low & Duff. On a bright sunny day the visitors came in to see the exhibition . One of the visitors Mr. Jack Scott of Montrose had just celebrated his 100th birthday. From : Frank Walker who was an employee. There were two poplar trees, within the foundry grounds, quite near to the houses. In the Spring, every year there was a colony of rooks settled and attempted to build their nests. The noise and mess they generated cause problems. Finally the Fire Brigade, led by Firemaster Fenton, dislodged the nests with high pressure, water jets. From : Donald Scott : Ex Management Employee. I can recall being in the office when I was told that production had ceased. Everyone had `downed tools`. Believing some industrial problem had caused an `all out strike`, I rushed down to the factory floor. There was no equipment for breaking down large pieces of metal. This was overcome by hoisting a very large weight, by a rope over one of the highest branches of a tree within the foundry grounds. The large pieces of unwanted metal were stacked below the tree, then the force of the weight released from the branch was sufficient to smash most of the metal. One day it was noted that the tree was swaying badly. Close inspection showed the trunk of the tree to be hollow. Legend had predicted if the tree `came down` , then so would the Foundry. The tree was felled. !!! From : Mrs Cook, Monifieth Resident. Told to me by my late father. In early 1914 with the outbreak of War in August, the manufacture of Textile Machinery was forbidden, in favour of munitions of war. My father gave much praise to a Mr Robertson, uncle of Mary Christie, the sweet shop owner, who allowed him to work from 6 a.m. / 8 a.m. in the `pattern shop`, then as relief in the `tool room`, also from 6 a.m. / 8 a.m., in order that I would master the practical side of J.F. Low (Ironfounders). At this time my father was Chief Draughtsman and all this practical experience led to him being made Works Manager in 1915, with a five years agreement. No 1, of Steel Bros of Rangoon. My father described him as one of the shrewdest and ablest man he ever knew. Between them they `fought` the Ministry and mostly won. Mr McGraw was later taken to London to Ministry Headquarters and kept in touch. In 1917 `Headquarters` decided to double J. F Low`s capability, due to their increased efficiency, but apparently due to the War coming to an end, this did not appear to happen. Charles T Gordon was managing Director, at this time. After the War, J.F Low opened a works to produce Textile Machinery in India, but this venture failed with the loss of £88,000 mainly by Mr William Low. In 1794 there was recorded in Monifieth 38 weavers of coarse linen, Osnaburg cloth, the name derived from Osnaburg in Germany, where the brown coloured linen cloth was first produced. Those weavers worked from home on a part time basis as they also farmed land. 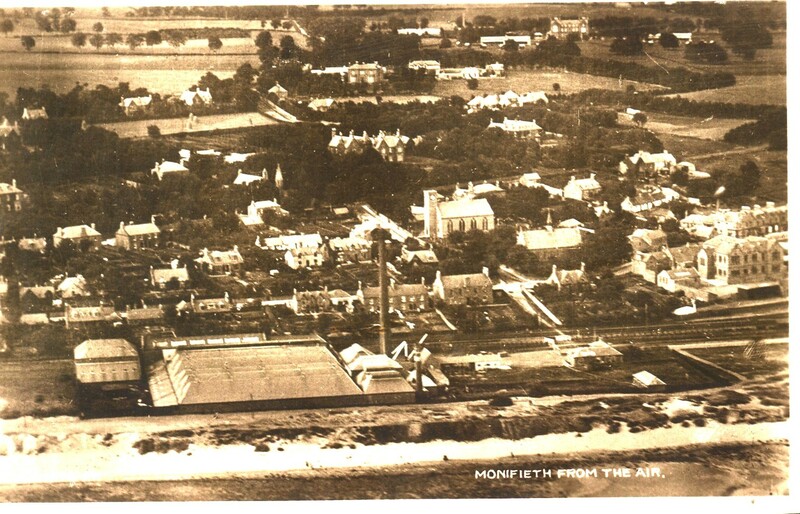 At the start of the nineteenth century a partnership was formed by Robert Baxter & Robert Fairweather, establishing a spinning mill, driven by the Dighty water at what was then to be known as Milton of Monifieth.